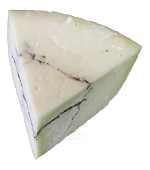 A milder version of Gorgonzola, commercially made. Bronze medal winner at 2002 World Cheese Awards.Silver at the World Cheese Awards 2005. Made with pasteurised cows milk and suitable for Vegetarians. Not as pungent as legend makes out. A very good creamy, mature blue that will compliment any cheese board. One of our best sellers. Made with pasteurised cows milk. 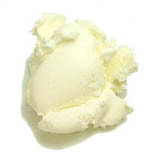 A soft, white, fresh, cream cheese from the Lombardy region of southern Italy. In fact, it is not cheese at all, but rather the result of a culture being added to the cream skimmed off the milk, used in the production of Parmesan.This whitish to straw-yellow, creamy, mild fresh cheese is compact, but supple and spreadable and it is added to famous Italian desserts such as Tiramisu, sometimes accompanied by cognac.75% Fat.. Made with pasteurised cows milk and suitable for Vegetarians. Sold in tubs of 250g. Price is per tub. Please enter the quantity required. Mozzarella is a mild, white fresh cheese that's made by the special pasta filata process, whereby the curd is dipped into hot whey, then stretched and kneaded to the desired consistency. Sold in bags suspended in brine. Made with pasteurised buffalo milk. Price is per carton. Please enter the quantity required. We usually stock the brand shown but may substitute another brand if necessary. Parmigiano-Reggiano is a "grana", a hard, grainy cheese, cooked but not pressed, named after the producing areas of Parma and Reggio Emilia. It is matured for 2 years or more. Very strong and slightly sweet flavour. Ideal for grating over pasta. DOP. Made with unpasteurised cows milk. Traditional, creamery, whey cheese which is white and wet but not sticky.Ricotta should be firm, not solid and consist of a mass of fine, moist, delicate grains, neither salted nor ripened. It is white, creamy and mild. Made with pasteurised cows milk. Sold in 250g tubs. Price is per tub. Please enter the quantity required. From Alpine Lombardy and named after a small town near Bergamo. 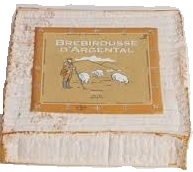 This cheese is uncooked and unpressed in the Stracchino style.Soft and creamy. Mild flavour that strengthens a little with age. Made with unpasteurised cows milk.